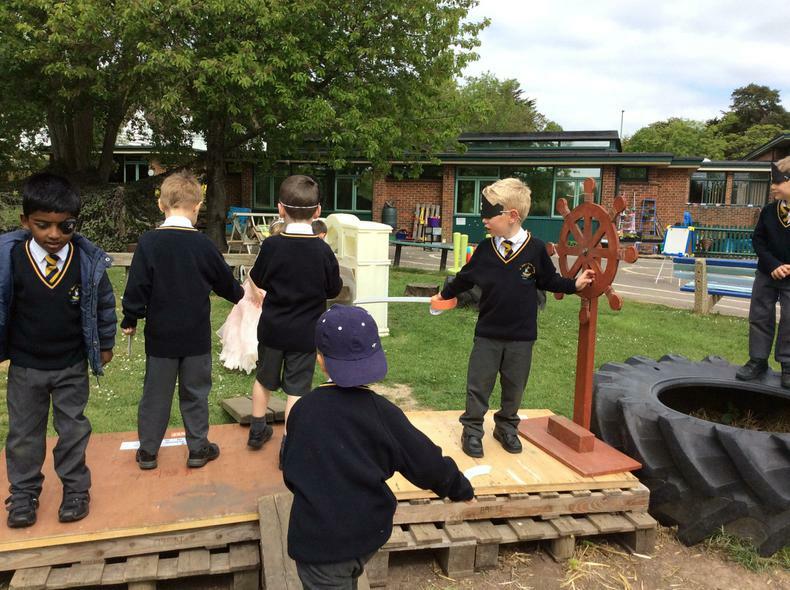 The children have loved playing at Pirates so we've used this for developing lots of learning this half term. 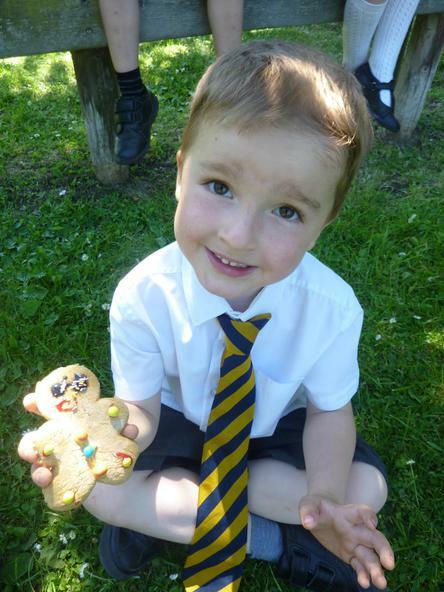 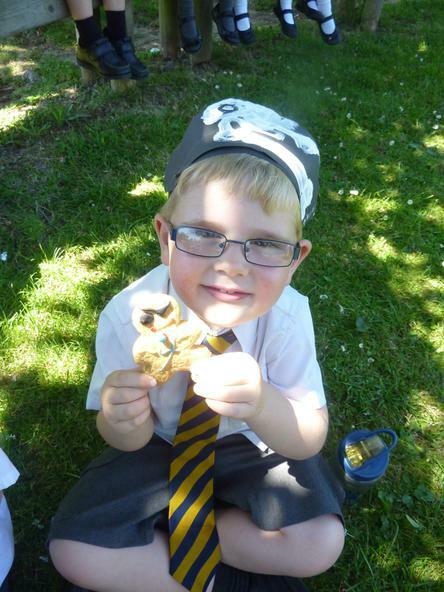 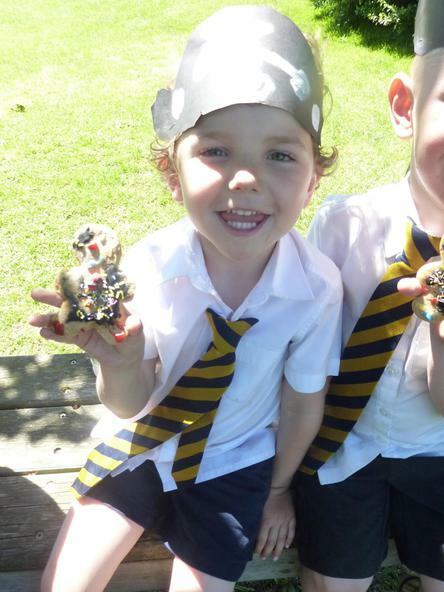 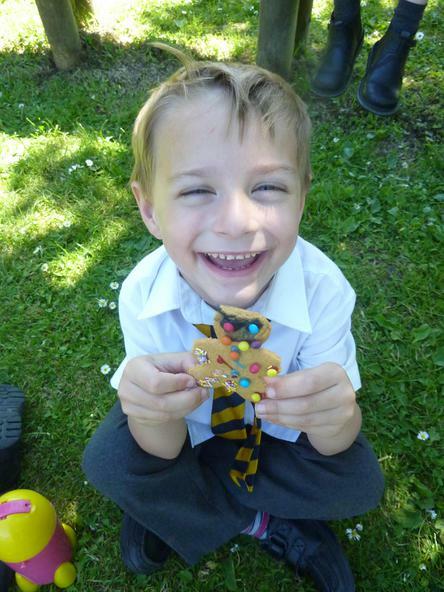 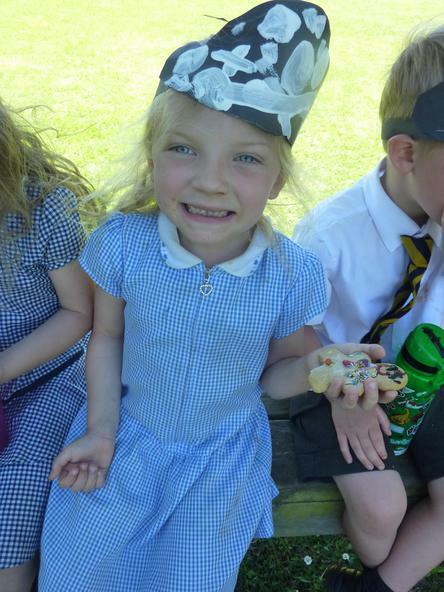 The children followed a treasure hunt and read clues to find the gold (chocolate!) 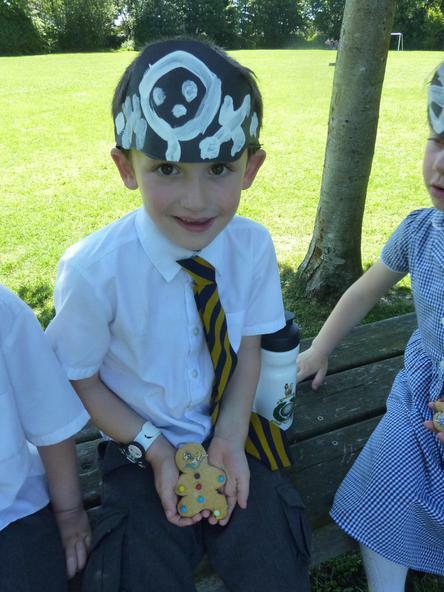 coin at the end, and then made up their own clues and wrote them down. 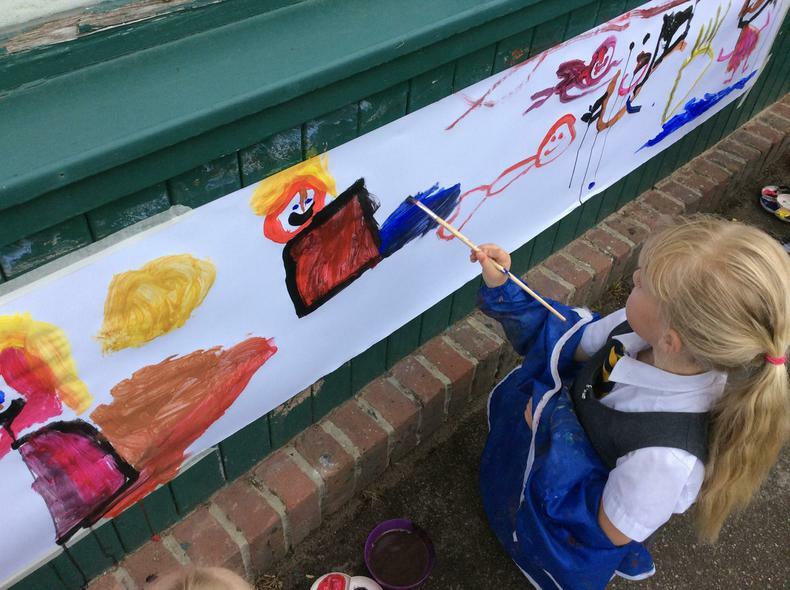 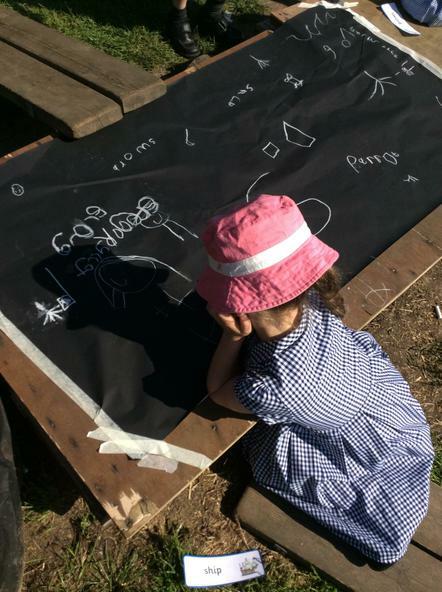 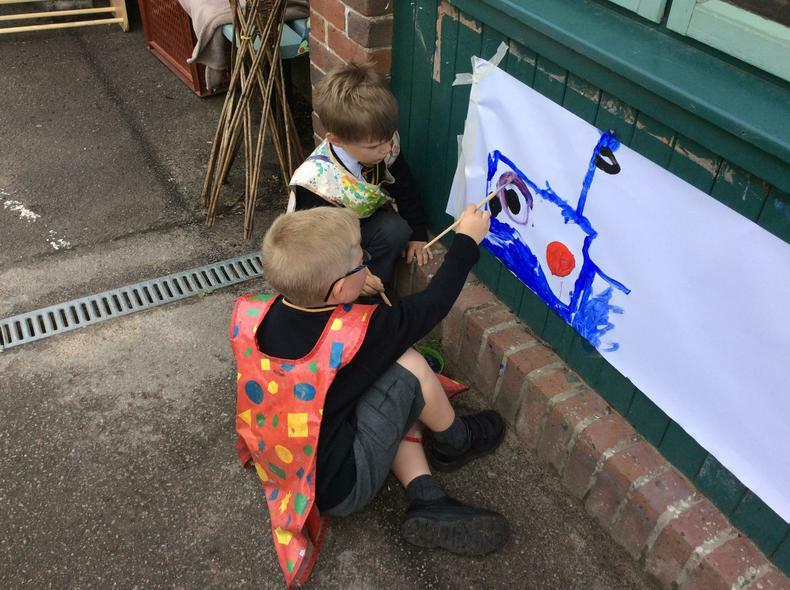 They have been making up great long stories and painting them, and written speech bubbles to go with them. 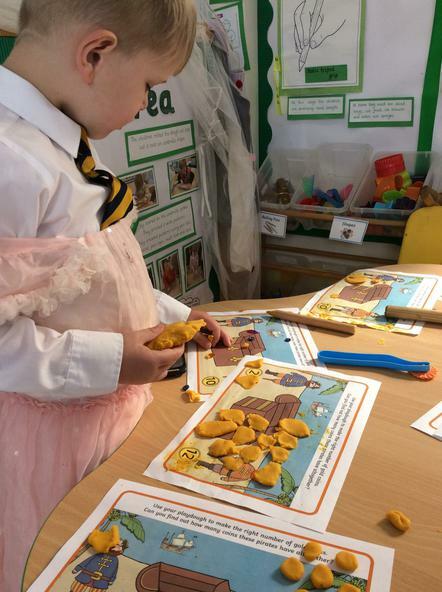 They have learnt all about sharing in maths, dividing out the coins between the bags of gold. 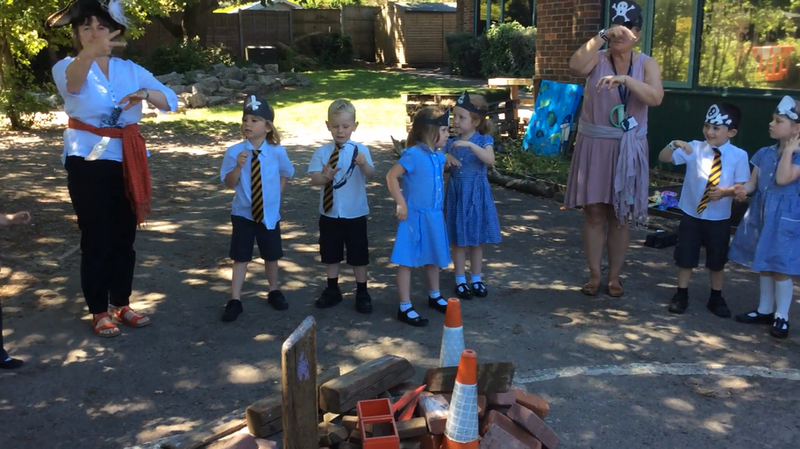 The children learnt the song "We're going this way, that way, forwards and backwards" and have made up all sorts of different endings that rhyme. 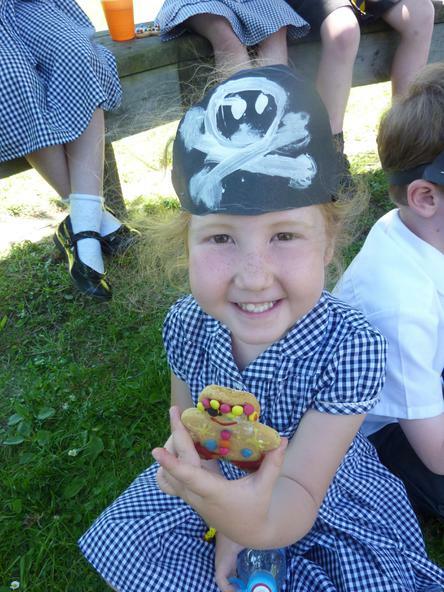 Watch how well they sang it at our pirate party! 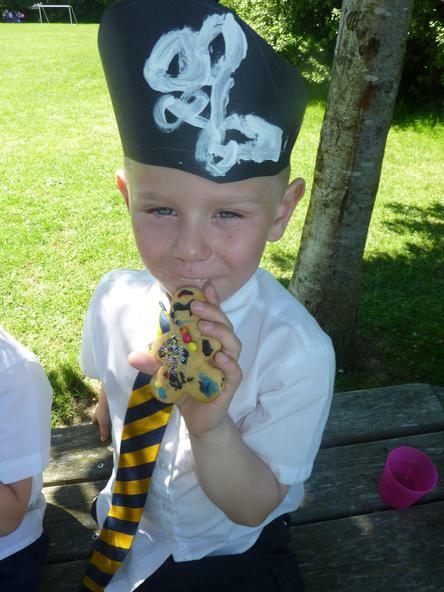 Listen out for the children's own rhyming version! 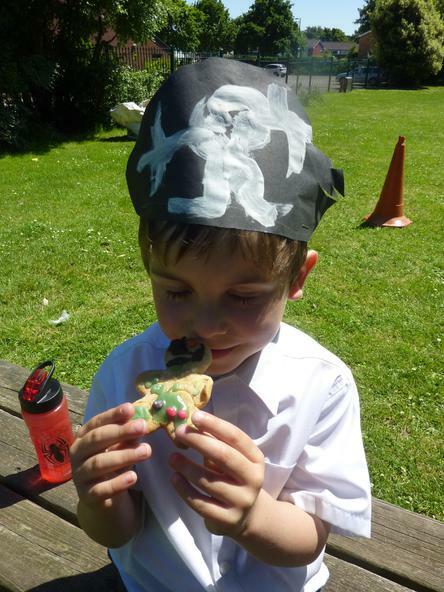 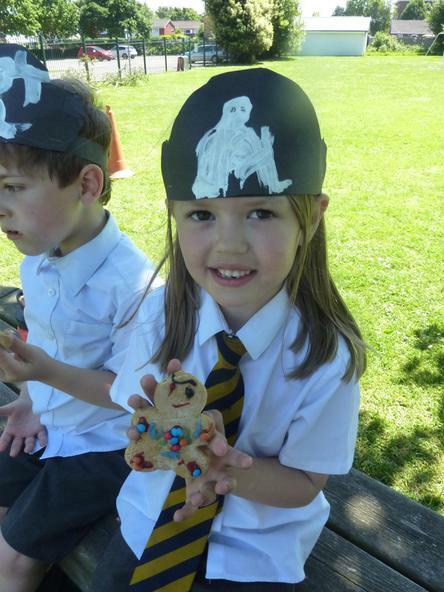 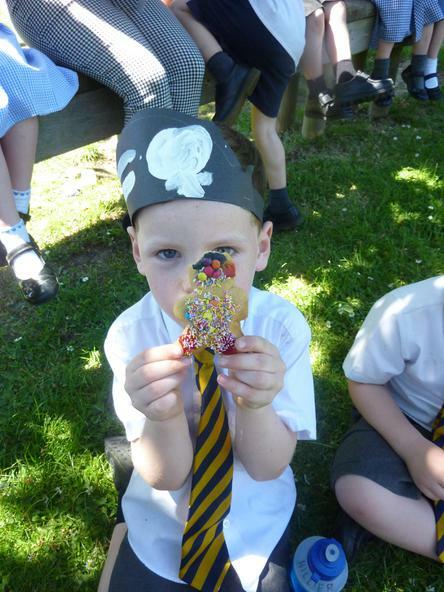 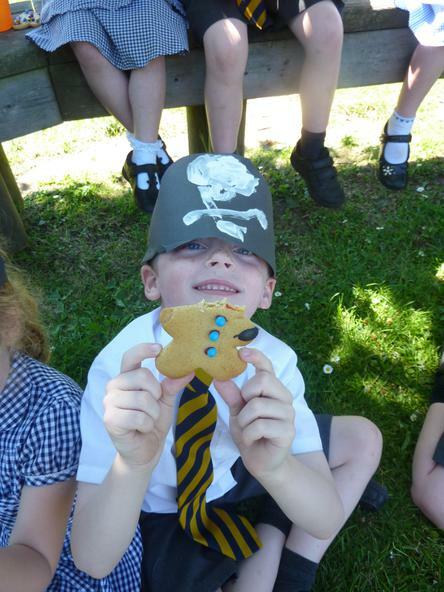 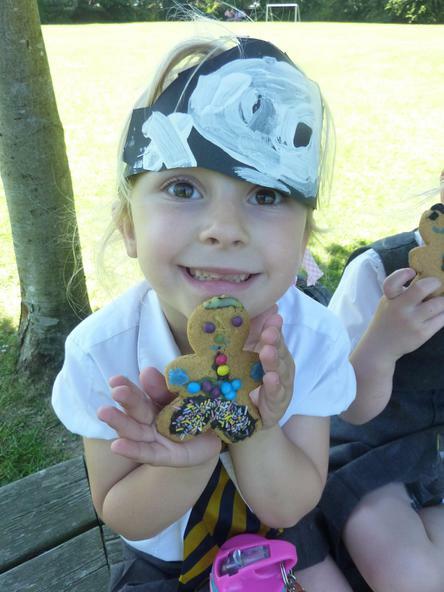 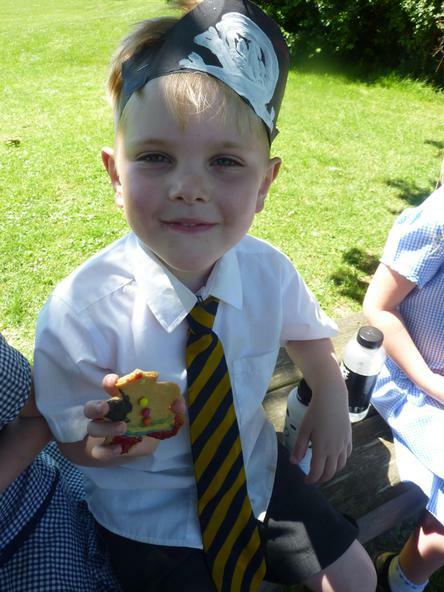 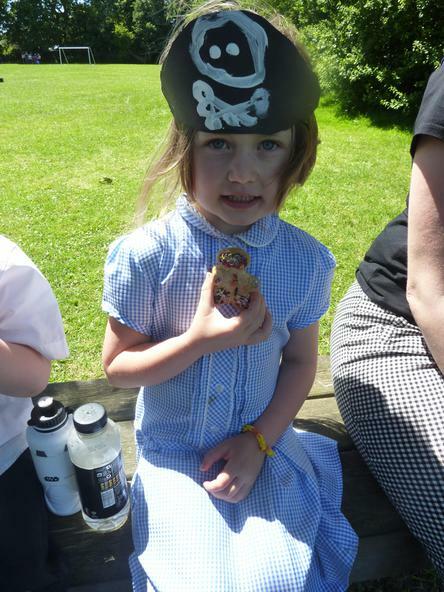 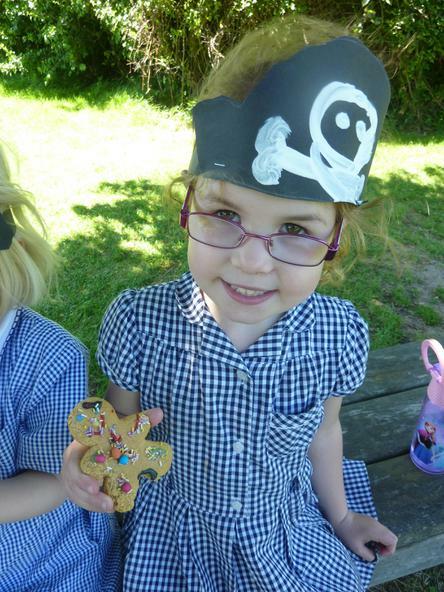 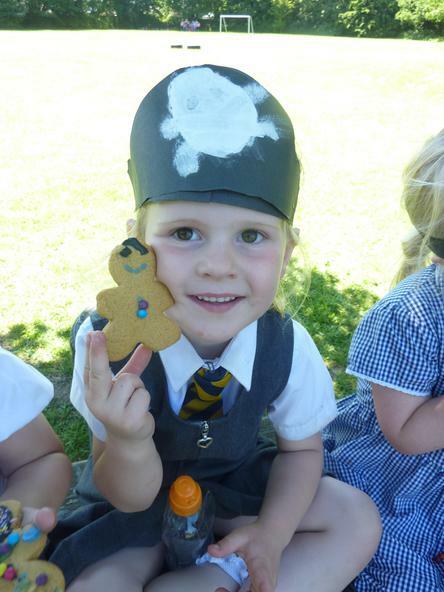 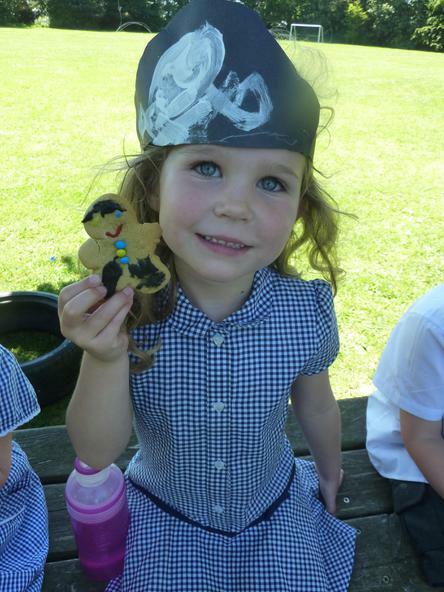 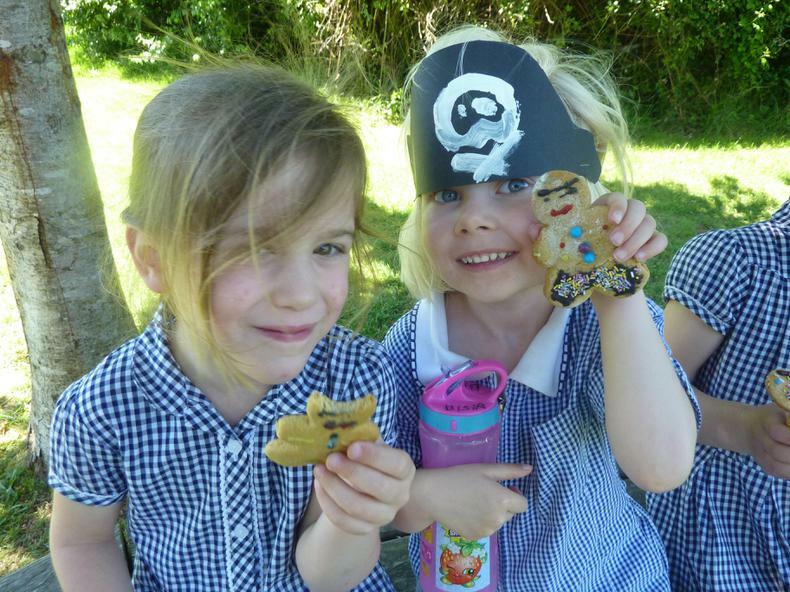 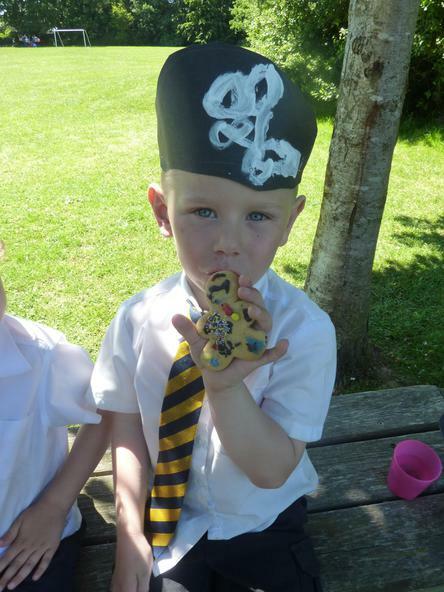 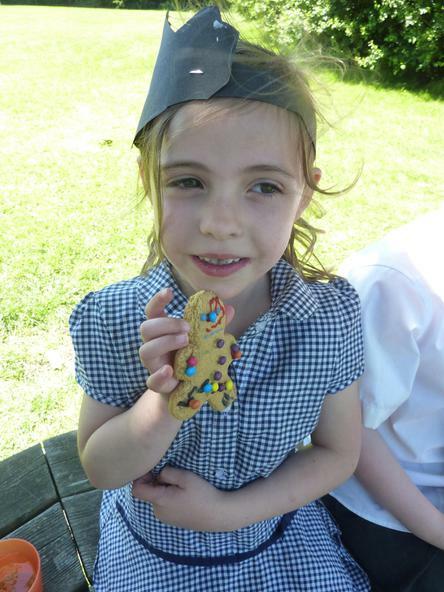 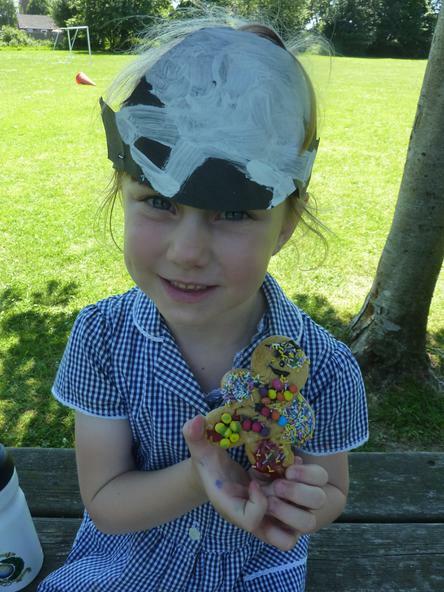 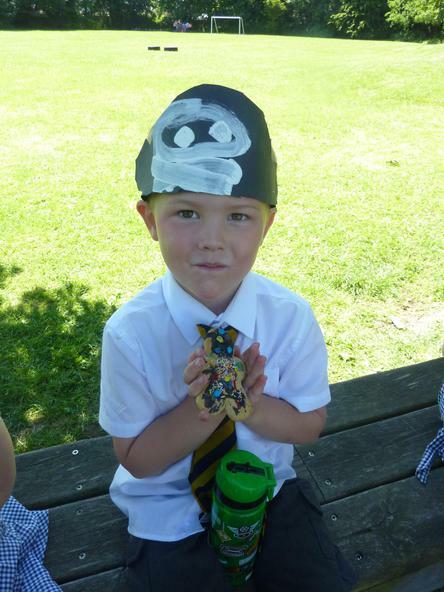 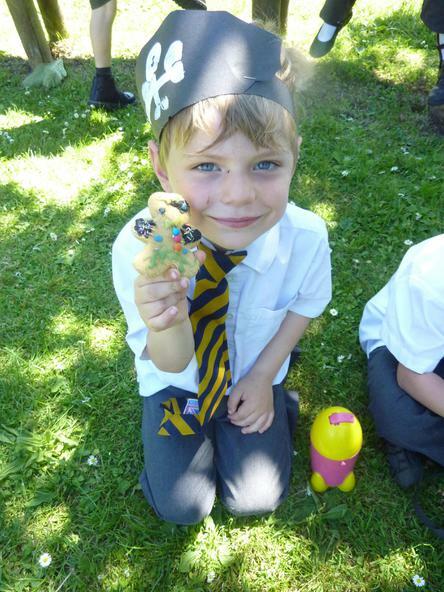 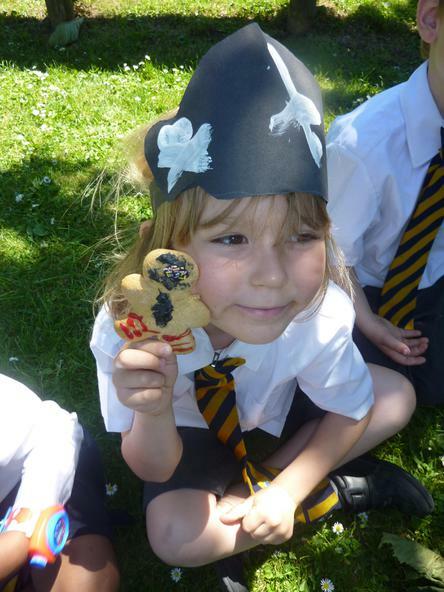 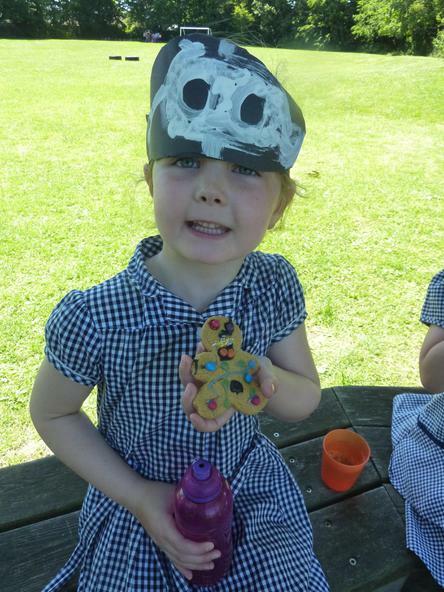 We finished the half term with our very own Pirate party, and the children iced biscuits to look like some amazing pirates - we were amazed at well they decorated them! 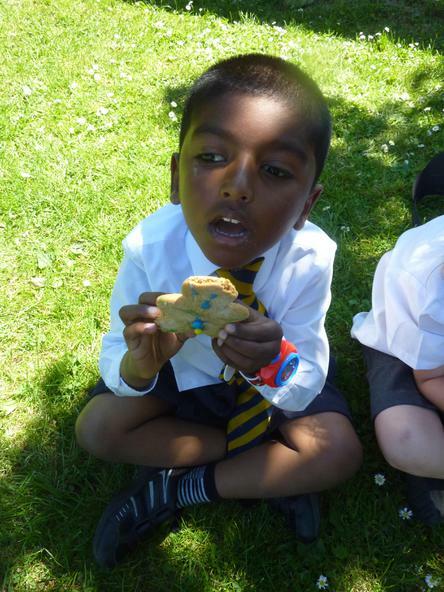 What games did we play? 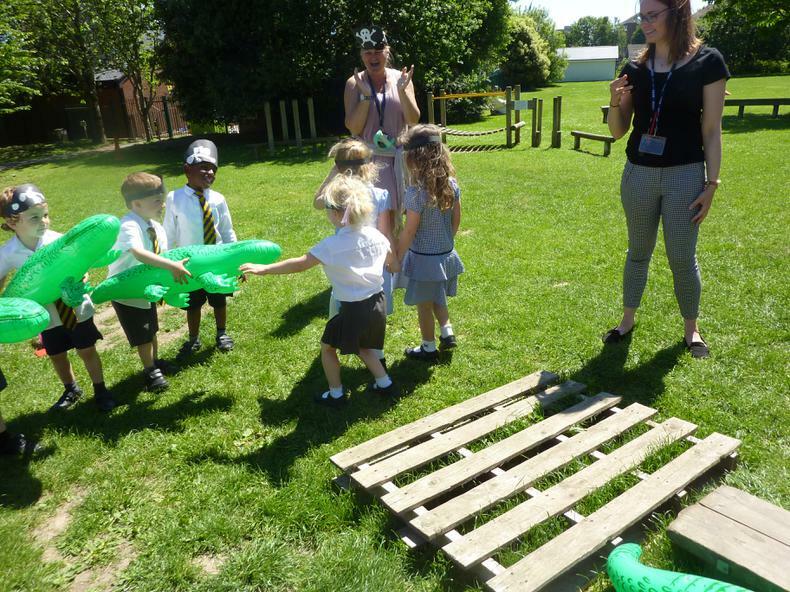 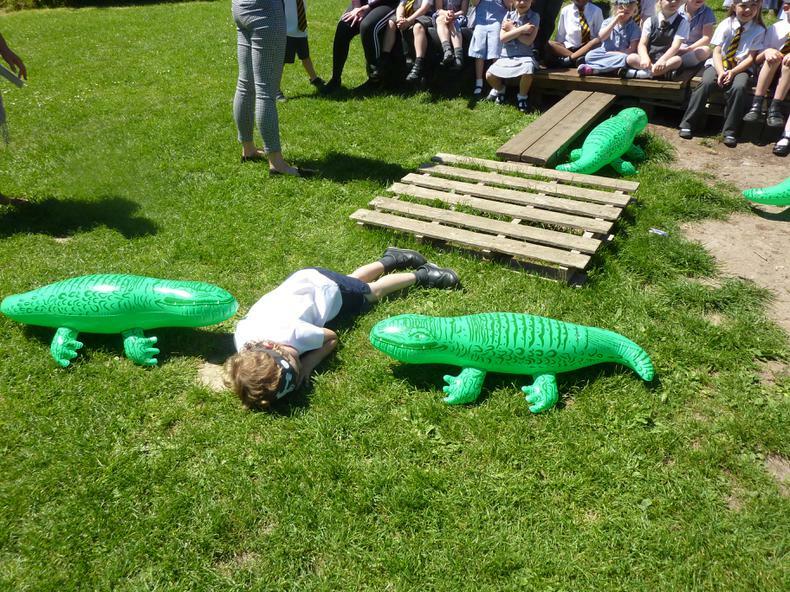 Why, walk the plank of course - and we fed those tasty children to the crocodiles - they all loved it!